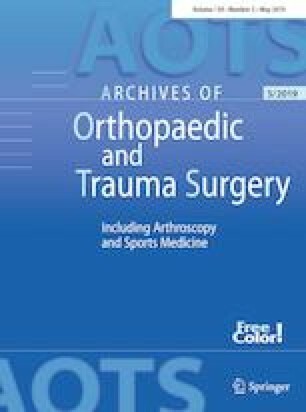 The aim of this study was to compare the clinical efficacy and radiological outcomes of skip corpectomy and fusion (SCF) with anterior controllable antedisplacement and fusion (ACAF) for treating multilevel ossification of the posterior longitudinal ligament (OPLL). 62 patients with multilevel OPLL who had undergone SCF or ACAF were analyzed retrospectively. Types of OPLL, occupying ratio (OR), Japanese Orthopaedic Association (JOA) score, Recovery Rate (RR), Neck Disability Index (NDI) score, Cobb’s angles of C2–C7, operation time, blood loss, hospital stay, ratings for fusion assessment and complications were recorded and assessed. Postoperative C2–C7 Cobb’s angle (11.1 ± 3.2° vs. 13.7 ± 2.5°; P < 0.05), NDI scores at final follow-up (14.3 ± 1.6 vs. 13.3 ± 1.3; P < 0.05), and rate of cerebral fluid (CSF) leakage (5, 16.7% vs. 0,0%; P < 0.05) were significantly better in the ACAF group. At 6 months, bone graft fusion rate was significantly greater in the ACAF group (24.75% vs. 15.50%; P < 0.05). Surgical treatment of multilevel OPLL by SCF or ACAF showed no significant differences in clinical outcomes, with the exception of better NDI scores at final follow-up in ACAF. In addition, ACAF is better than SCF in terms of early bone graft fusion rate, lordotic curvature improvement, risk of CSF leakage. Bin Zhang, Jingchuan Sun and Ximing Xu contributed equally to this work and should be considered as co-first authors. This study was supported by grants from the National Natural Science. Foundation of China (No. 81650031), National Natural Science. Foundation of China (No. 81802218), and Shanghai Municipal Commission of Health and Family Planning (No. 201640262). This article was approved by Medical Ethics Committee of Shanghai Changzheng Hospital. Approval file number: 2017SL040.